Style of Food is an amazing choice for food lovers, who want to build their own culinary website. 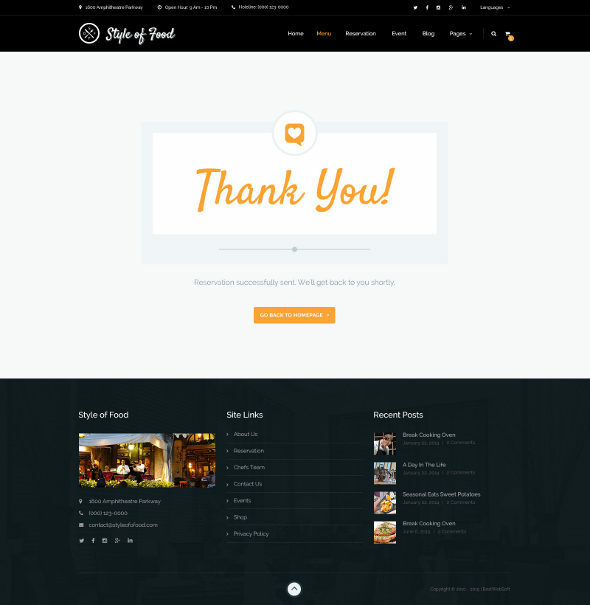 It is an online restaurant PSD template designed with passion for food. 🙂 Modern and clean design allows to create your own unique interface. 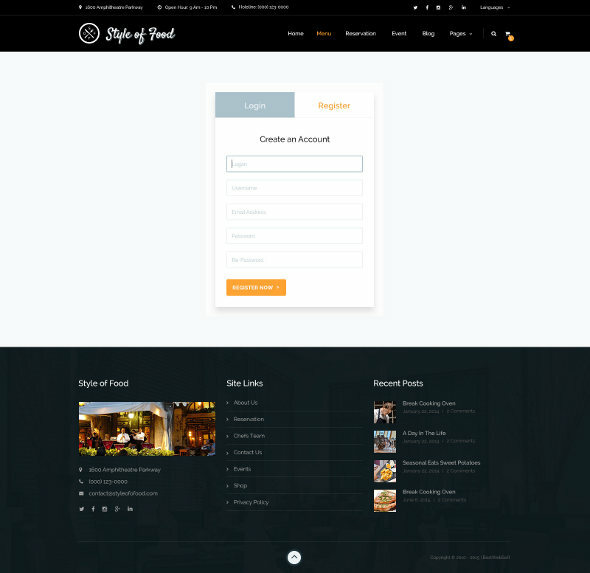 This template is exclusively made for restaurant & cafe industry. Focused on restaurant, however, it can be easily modified in accordance with any other food-related business. Download folder consists of 19 layered PSD files. All layers are organized properly, so it takes you a moment to find necessary layer and edit it. File structure is fully organized to make the editing process more easy for end-users. Template is designed based on 1200 grid system. It is also ready for retina screens. 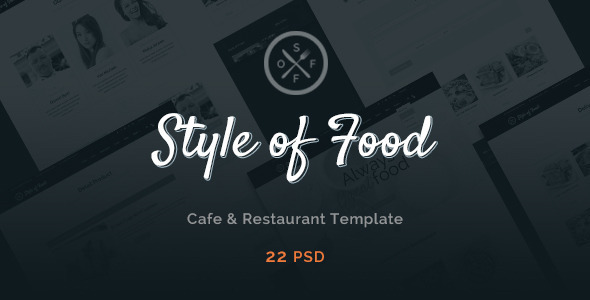 It is the perfect template to show off your amazing food photos and cooking skills!